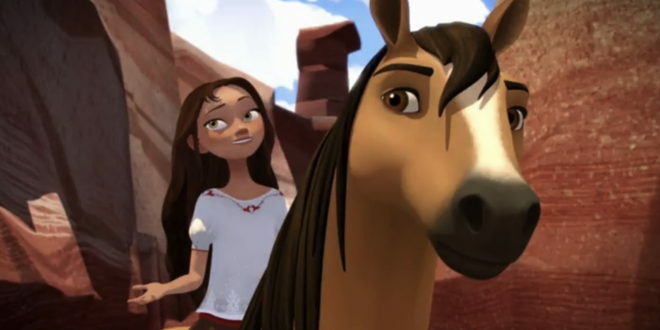 Star Stable Online and Universal Brand Development are joining forces to launch a new online game inspired by the Netflix original series, Spirit Riding Free. Star Stable riders can solve quests with Spirit, while also gaining his trust to stay in Jorvik. The exclusive addition of Spirit will also be part of Star Stable Online’s new content delivered weekly to its fan base who spend more than 44 million minutes per month playing in the US and Canada. “We’re pleased to be able to collaborate with Universal Brand Development to introduce Spirit’s courage and adventure into our vibrant, 3D game world of Star Stable Online,” said Taina Malén, CMO of Star Stable.